I have long been a firm believer that the Ubuntu LoCo Community is one of the strongest elements of Ubuntu. The LoCo community are our eyes, ears, mouths, and hearts in taking Ubuntu to the masses. If we are going to reach out to 200million users, we are absolutely going to need to have the LoCo Community on-board as a well oiled machine. Fortunately, some great work is going on to achieve this. Great Governance – the Ubuntu LoCo Council has gone from strength to strength in the last year. They are actively supporting and mentoring teams, and continually re-assessing to teams for approval (so we can ensure a level of quality is reflected in the Approved teams list). I have a regular briefing call with Laura Czajkowski from the LoCo Council and it seems the wheels are oiled there. Great Teams – loco.ubuntu.com set out a few UDSs back to provide a directory of LoCo teams; this made it easy to find and join teams. With this functionally came team information, event support and more. I believe we need to built on this and identify how we can continue to help LoCo teams be successful in how they organize and run their teams. Great Outreach – finally, we need to get out there and grow the LoCo community and use our LoCo teams as a sponge to soak up new users, support their needs, and help them get as much support and help as possible as they join the Ubuntu family. I wanted to talk through a few of the different things going on to satisfy these areas and where I am keen to see us focus on future work and goals. It’s the time of year again! Re-approval time, so it’s time dust off the team photos and fire out some wiki edits! We have a ton of teams to review this year, so we have some ground rules that need to be adhered to very closely. We really hate (and we do) to be such a pedantic nit-picker, but it’s to the point where we can’t (as the LoCo Council) slip on reviewing teams. Not good for you, not good for us. All you team administrators have been subscribed to the LP bug, if you are the contact (and not the admin), please contact your local friendly admin (or one of us on the LoCo Council) to get subscribed. If the application is submitted before the release of Ubuntu Oneiric, we will consider it. If it fails to come in on time, we will have to throw it away. We’re serious about this one. We’re looking for a few key things in particular this cycle. We really want to see up-to-date Team Reports. It’s really something that needs to be enforced. We’re also looking (as usual) for outstanding and sustained levels of activity. By the way, we love you guys. We know you guys have done awesome work so far, and we can’t wait to see it! If you received this email, please follow up with the LoCo Council and participate in the re-assessment; the goal of this process is to ensure we have a high-quality set of teams who we can often entrust with additional responsibility and seek their guidance. If your team is not approved, remember, the LoCo Council are there to help your team be successful – get in touch with them to see how they can help. Also be sure to look for help on #ubuntu-locoteams on freenode IRC and on the mailing list. At UDS we had an interesting discussion about the next steps in expanding loco.ubuntu.com to have it be even more of a centerpiece of how our community grows and operates. As I expressed in a previous entry, I am really keen to see the site become truly tab-worthy; in other words, have the site always open in a tab in my browser and regularly displaying dynamic content I find interesting. In my entry I suggested embedding dynamic content such as blog posts (a selection of RSS feeds that contain LoCo related content), a more dynamic Twitter stream, and other ideas). I also suggested that all the help and docs in the community is taken to loco.ubuntu.com instead of being on the Ubuntu Wiki; it would then be a lot more discoverable. We had the session, and a blueprint was put together with a set of actions. The legends of Chris Johnston, Michael Hall, and Nigel Babu are particularly keen to deliver this content in the site, and I have set up a regular call with them to help them accomplish these goals. This call will be shared with Laura so we can continue to ensure Governance issues and growth are on track too. I feel Outreach is the next major component of this strategy. I am really keen to hear ideas and thoughts from the community about how we can coodinate and run outreach campaigns both at a local team level and as a global effort. 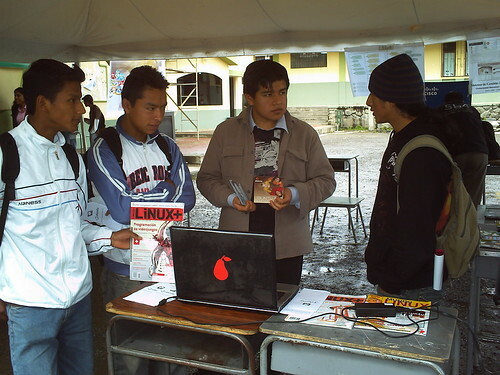 We already have events such as the Ubuntu Global Jam that many teams feed into, but one challenge is that we still have a disconnect between teams that have a natural capability at going out and getting people involved and spreading the word about Ubuntu, and those teams that don’t have the same set of skills to perform this outreach. How can we grow the mentoring capabilities between teams, share outreach skills, and help optimize other teams for success?